Dave Eggers’ novel “The Circle” ran 491 pages. The movie adaptation of the book, co-written with director James Ponsoldt, runs a little over 100 minutes (when you exclude the credits). It appears they made the executive decision to tame that imposing length by keeping the events of the plot but dulling the nuances of the Juvenalian satire. “The Circle” maintains so much of the reluctance of the social media era that I found so compelling upon reading two years ago (ironically before I took a job working in social media). Eggers’ eponymous technology company powerhouse combines the compulsive networking capabilities of Facebook, the Big Brother-like tracking of Google and the hardware prowess of Apple into one frightening hydra. Perhaps as a matter of budget (just $18 million), Ponsoldt can never quite translate this behemoth into visual terms. On the page, Eggers can conjure up a compound of fanciful imagination to represent The Circle’s reach. On screen … Ponsoldt shows us a Beck concert for the staffers. As Emma Watson’s Mae Holland begins her tenure at The Circle as a low-level gopher, she comes to embody a puzzling paradox of the digital age. Even as our awareness grows of the debilitating effect of a life lived online, so does these companies’ ability to keep us trapped. Yet rather than following Eggers’ original line of thought to its logical, terrifying conclusion, the film chickens out at the end. “The Circle” betrays its literary origins, leaving behind a hollow shell of platitudes spouted by characters who act and sound like little more than the function they occupy in the narrative. Dan Brown’s historically-inspired adventure tales have never felt more like a “National Treasure” movie than in Ron Howard’s adaptation of his most recent Robert Langdon tale, “Inferno.” What might pass as labyrinthine on the page proves laborious on the screen as the story runs in two opposite directions at once to cover 600 pages in 2 hours. On the one hand, Langdon (Tom Hanks) tries to piece together two days he seems to have forgotten – during which time he went from Cambridge, MA to Florence, took a priceless artifact from the Uffizi and suffered massive head trauma. He lacks the luxury to sit down and calmly place all the puzzle pieces together, however, as a consortium of Italian police, World Health Organization officials, and corporate interests track him down. Langdon unwittingly possesses information from Ben Foster’s Bertrand Zobrist, a recently deceased billionaire who took Thomas Malthus a little too seriously and gives morbid TED Talk-style lectures about the grave dangers of overpopulation. Clint Eastwood’s ideas about America tend to get a lot of airtime, be it his decidedly anti-politically correct personal statements or the perceived xenophobia or myopia of his films like “Gran Torino” and “American Sniper.” In some regard, Eastwood’s much-ballyhooed empty chair speech at the 2012 RNC set the stage for a political lens to become the most commonly applied approach to his work. With “Sully,” the director offers up a vision to make America great again – though not in the controversial manner in which you might think. His film is an ode to the American spirit of communal support and teamwork. It’s a tribute to those brave souls who think like caring, sentient human beings rather than machines. And this tale is not without a dark side; our nation’s faith in the extraordinary capabilities of an ordinary individual can thrust unwitting individuals into the limelight as heroes. At one point during the ensuing scrutiny from federal investigators, Sully looks into his wallet and finds the message from a fortune cookie: “Better a delay than a disaster.” The film itself possesses about the same level of wisdom and insight. That might sound a bit like damning with faint praise, but Eastwood – and Hanks, too, for that matter – knows there is something to be learned from the simple philosophy of the common protector. Thoughts and words are just fine, yet they mean little unless backed up with action. In “Sully,” the staff aboard U.S. Airways Flight 1549 and countless New York City first responders show their commitment to human life by dropping everything to save 155 passengers on a moment’s notice. 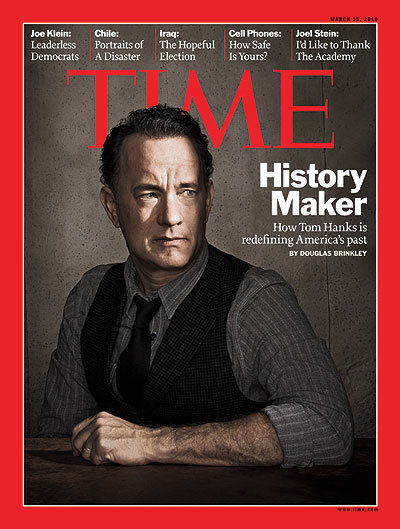 When the eventual biographers take stock of Tom Hanks’ career, something tells me that “A Hologram for the King” will inevitably get lumped in a grouping with 2011’s “Larry Crowne.” Both films, in spite of all else they offer, serve primarily as vehicles to continue Hanks’ romantic leading man status well into the back half of his fifties. An “Eat Pray Love” comparison feels somewhat apropos given the exotic setting as backdrop for personal issues, yet that story took the trouble to connect the dots. Tom Tykwer’s “A Hologram for the King” takes no such efforts. It’s as if the work of Hanks’ Alan, a recently divorced American IT salesman, has no function other than to get his body in Saudi Arabia. The professional and the personal never tie into each other, which is a shame given all the potential in presenting the eponymous task – hologram technology to the king of the kingdom. The ultimate form of presence in pixels. Ripe for metaphors, no? Instead, the best the movie has to offer is a benign tumor that sprouts on Alan’s back. Get it? The tumor is a physical manifestation of his growing anxieties and midlife crisis! How middle school English class. I’m young enough that I cannot remember a time when director Steven Spielberg’s name was not synonymous with cinematic excellence at the highest echelon. I am also of the age that I have never been able to experience the kind of film that earned him such a reputation in any manner other than through the lens of retrospection. That is, until “Bridge of Spies” came along, the first Spielberg effort since 2005’s “Munich” that serves as an adequate calling card for a generation-defining artist. Making the sort of mid-range budget ($40 million) adult drama that have all but gone the way of the dinosaur, he issues a strong reminder that his formidable skills should not be undervalued or underestimated. It’s fitting, then, that this film should star Tom Hanks, another already minted national treasure whose cultural footprint often dwarfs the power of his work. While both director and actor could easily coast on their merits, neither does in “Bridge of Spies.” The film operates at an impeccably high level of craft and precision because Hanks and Spielberg flex their muscles so potently. Calling it a return to form feels wrong since neither has precipitously declined, but this is clearly them at peak performance. Hanks plays William Donovan, an idealistic Brooklyn lawyer given the thankless task of providing legal counsel in a sham trial meant as a PR play. His client is Mark Rylance’s Rudolf Abel, a suspected Soviet spy captured at the peak of Cold War mania. Donovan’s task recalls the central case in “To Kill a Mockingbird,” and it’s a good thing that Hanks can channel Atticus Finch (pre-racism) so deftly. Only a few actors could pull off this unironic, unashamed portrait of the nobility all Americans like to believe is woven into our national fabric. Hanks, with his steady hand and calm resolve, makes a better case for the Constitution’s guiding light than anyone currently in public office. In fact, many of them could learn a thing or two from Donovan regarding Edward Snowden, the Middle East, and immigration. But “Parkland” falls short of the prestige of such premium cable programming, instead feeling more in the vein of another History Channel special attempting to cash in on mourn the passing of our slain leader. Everything about Peter Landesman’s film seems of low production value, a quality that shows when accompanied by such acclaimed actors as Billy Bob Thornton, Jacki Weaver, and Paul Giamatti. From the outset of Paul Greengrass’ “Captain Phillips,” there is a conscious attempt to mirror the film’s two leading men, the titular cargo ship commander played by Tom Hanks and the Somali pirate Muse humanized by Barkhad Abdi. Where most films would try to draw attention to the gulf between them, Greengrass and screenwriter Billy Ray bring to light the comparisons few would ever make. Phillips and Muse rally their troops in the same way, command authority similarly, and follow the scripted narratives their societies have written for them. They’re explicitly paralleled in the structure of the script as well as in Greengrass’ visual language of “Captain Phillips.” It leads to a provocative line of mental questioning, but the sort of political allegory for which they aim winds up slightly unfulfilled. It feels like an appropriate cherry on what I view as an unofficial, non-consecutive trilogy for Greengrass. This series of interrelated movies is composed of 2006’s “United 93,” 2009’s “Green Zone,” and 2013’s “Captain Phillips,” all of which are critiques of contemporary American power and its narrow-minded exercise. It’s yet another outsider’s critique of the currently reigning global superpower, which you can choose to listen to or dismiss. The least of the three, “Green Zone” is a rather obvious criticism of the U.S. invasion of Iraq under some rather dubious pretexts. “United 93” might seem like a straightforward cinematic presentation of an important historical event, but it uses the ill-fated flight on 9/11 for the self-destructive ends of America’s myopic worldview. In his treatment of that film, Greengrass described the hijacking as a “hermetically sealed world disrupted by a savage and violent act.” The premise of his “Captain Phillips” sounds like a riff on the same thought, which makes the films interesting companions.